Schemmer’s Terry M. Wood, AIA, Molly Macklin, AIA and Mike Fortenbury, Construction Administrator, attended Omaha Public Schools’ (OPS) ribbon cutting ceremony for Gilder Elementary School. 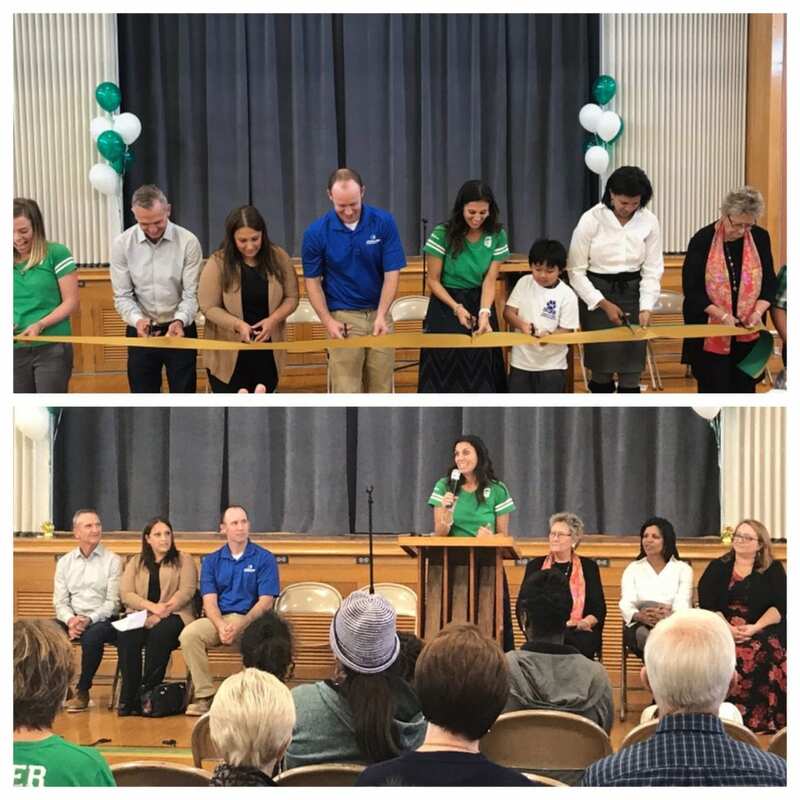 OPS held the ribbon cutting ceremony at Gilder Elementary School to celebrate the completion of the school’s renovation project on Thursday, October 18, 2018. Students, staff, parents and distinguished guests of Gilder were in attendance, as well as representatives from JE Dunn Construction and Jacobs Engineering Group. Principal Cassie Schmidt kicked off the ceremony and Bryan High School’s JROTC Color Guard presented the colors as the Gilder Chorus, sang the “National Anthem.” Guest speakers at the ceremony included: OPS Superintendent, Dr. Cheryl Logan; Chief Operations Officer, Dr. Antoinette Turnquist; and Board President, Lacey Merica. Schemmer’s design for the Gilder Elementary School renovation, addition and indoor air quality project included adding six early childhood and six elementary classrooms, site upgrades to the parent and bus drop-off/pick-up areas, ADA improvements, mechanical, electrical, plumbing, carpet, paint, security, safe area, central air conditioning to the entire facility, fire sprinkler and intercom systems. To learn more about Gilder Elementary School, click here.